Your mattress isn’t the only thing that affects how well you sleep or how rested you are in the morning. 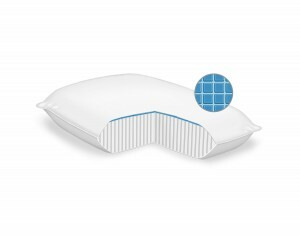 Find the right pillow for your perfect night’s sleep. 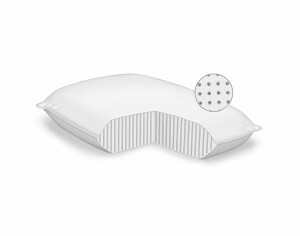 Your pillow is a very important part of sleep comfort – second only to your mattress. The right pillow will help you fall asleep faster, and stay asleep longer. Mattress For LESS offers a wide selection of today’s most popular pillows, featuring a variety of natural and synthetic materials. Pressure relieving support – visco-elastic perfectly conforms to your head and neck. Sleeps cooler – special ventilation design improves air circulation. Hypoallergenic – inherently resistant to mold and mildew. Dual-panel construction – memory foam support and cooling gel comfort. Perfect relief – visco-elastic perfectly conforms to your head and neck. Cool comfort – gel avoids heat accumulation common to memory foam. Easy to clean – removable, washable cotton cover.